ItStyle Baked Maxy Blush - 01. Pink..
ItStyle Make Up Milano Baked Maxy Blush - 01. 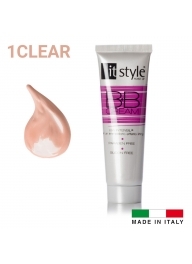 Pink Tones Description Baked powder..
ItStyle- BB Cream - Clear..
ItStyle- BB Cream - Clear Description BB Cream - Blemish Balm or "anti-imperfect..
ItStyle Compact bronzing Powder - 0..
ItStyle Make Up Milano Compact bronzing Powder - 02. Cacao Description The specia..
itStyle Illuminating Stick- Bronze Description: Illuminating creamy stick with a soft.. Baked Maxy Blush - 03. Light Brown ..
ItStyle Make Up Milano Baked Maxy Blush - 03. 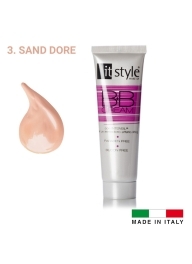 Light Brown Tones Description ..
ItStyle BB Cream - 03 Sand Dore..
ItStyle Make Up Milano BB Cream - Color 3. Sand Dore Description BB Cr..
2-in-1 itStyle Beauty Gift - Smokey Natural-Palette 16 Eyeshadow + Make Up Fixing Spray..
ItStyle Bronzing Powder - 01. 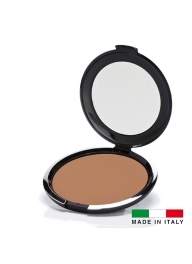 Sabbi..
ItStyle Make Up Milano Bronzing Powder - 01. Sabbia Description Bronzing powder t..
ItStyle Baked Maxy Blush - 04. Dar..
ItStyle Make Up Milano Baked Maxy Blush - 04. Dark Brown Tones Description ..
ItStyle Shimmering Powder - 1. Gol..
ItStyle Make Up Milano Shimmering Powder - 1. 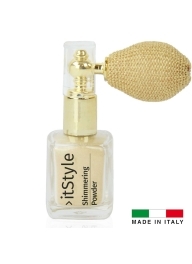 Gold Description Shimmering s..
ItStyle Compact Foundation - 6. 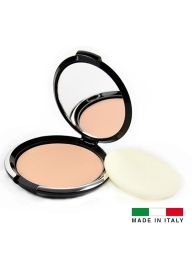 P..
ItStyle Make Up Milano Compact Foundation - Color 6. Pastel Description Silky-sof..
itStyle -Illuminating Powder- GOLDEN BEIGE Description: Illuminating compact powder. ..
ItStyle Shimmering Powder - 2. Ros..
ItStyle Make Up Milano Shimmering Powder - 2. Rose Gold Description Shimmer..
ItStyle Bronzing Powder - 02. Safar..
ItStyle Make Up Milano Bronzing Powder - 02. 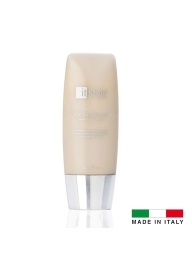 Safari Description Bronzing po..
itStyle Make Up Milano Make Up Fixi..
itStyle Make Up Milano Make Up Fixing Description Make-up fixing spray. Fix the..
ItStyle Baked Maxy Blush - 02. Dark..
ItStyle Make Up Milano Baked Maxy Blush - 02. 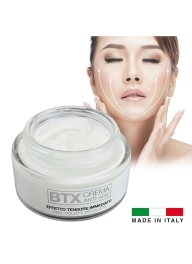 Dark Pink Tones Description ..
itStyle -Illuminating Stick - ICE..
itStyle -Illuminating Stick - ICE Description: Creamy illuminating stick with a soft ..
ItStyle BTX Cream - Face Anti - Age..
ItStyle Make Up Milano BTX Cream - Face Anti - Age Description Immediate lifting ..